Despite the recession, the vast majority of managed service providers say they plan to create new staff positions and fill them in the first quarter of 2009, according to MSPmentor's latest weekly readership poll. Here's a quick look at the poll, the results and some perspectives from MSPmentor. We asked readers: What are your staffing plans for 1Q 2009? Despite the recession, the vast majority of managed service providers say they plan to create new staff positions and fill them in the first quarter of 2009, according to MSPmentor’s latest weekly readership poll. Here’s a quick look at the poll, the results and some perspectives from MSPmentor. The poll, launched Dec. 8, was answered by 107 MSPmentor site visitors. 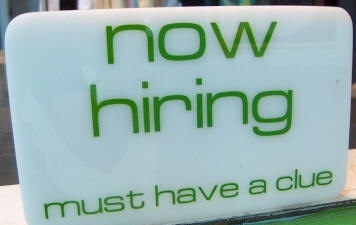 Although it’s not a scientific poll, we were surprised to see such an optimistic outlook on hiring for Q1 2009. In recent weeks, we’ve received dozens of emails and phone calls from out-of-work IT professionals who are looking for jobs in the managed services sector. Many of those calls were from folks who have left MSP- or SaaS-oriented companies. Our initial conclusion: Even MSPs and software as a service companies are cutting a few positions during the recession. But the poll results suggest MSP hiring remains relatively strong. If you’re seeking a career in managed services, check out MSPmentor’s Career Center, which features a rudimentary job board (www.mspmentor.net/careers). We’ll be enhancing the free job board in a few weeks. Your readers keep expressing optimism and msp mentor keeps expressing a more conservative outlook. Very ironic but it’s good to see a technology media site free from market hype. I guess that’s a way of saying good job. Robert S: Thanks for the note. With a name like “MSPmentor” you’d think that we hype the managed services market 24×7. But our team has covered IT — responsibly — for more than a decade. And if we fall into the hype trap we’ll lose our credibility. The managed services business model is fantastic. The economy is terrible. Put the two together, and the best MSPs will do pretty well, but the aspiring MSPs will need to work extra-hard to adapt to new sales, marketing and technology mindsets.